View More In Jewelry Trays - Page 12. 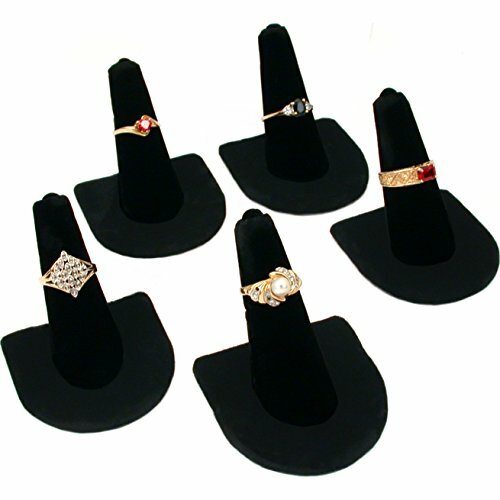 5 Black Velvet Ring Displays Holders Showcase 2" New This is a new set of 5 black velvet ring displays These finger shaped forms are a great way to display rings on your counter tops or in a showcase Each display holds rings size 1 through 12 and measures approximately 2" x 2" x 2"
Each display holds rings size 1 through 12 and measures approximately 2" x 2" x 2"
If you have any questions about this product by FindingKing, contact us by completing and submitting the form below. If you are looking for a specif part number, please include it with your message.